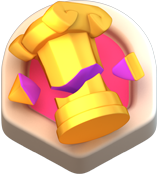 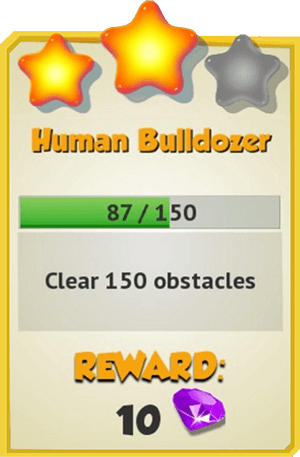 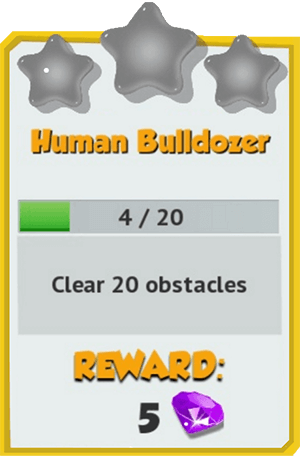 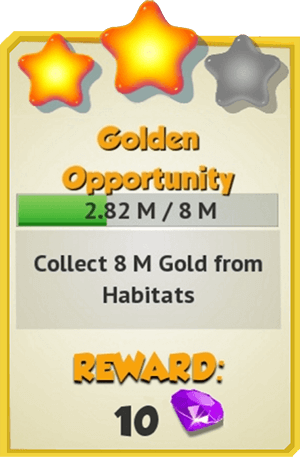 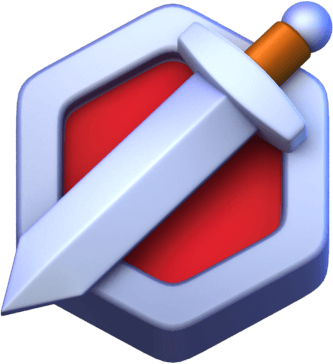 Achievements are objectives that, when completed, give rewards consisting of Gems. 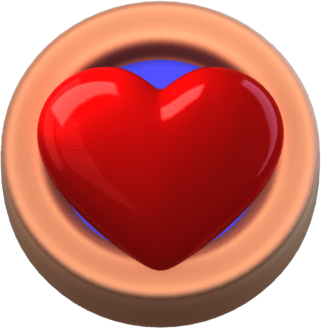 These encompass eighteen, three-tiered tasks which escalate in difficulty with each tier. 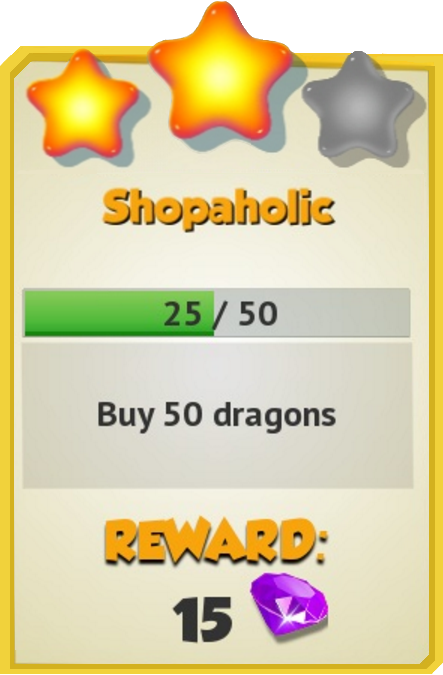 There is a total of fifty-five achievements to complete. 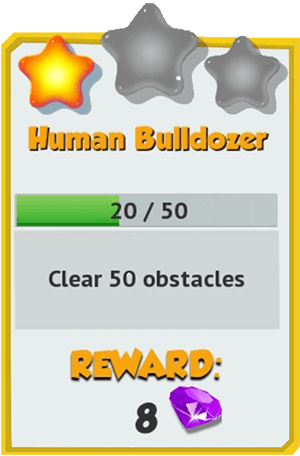 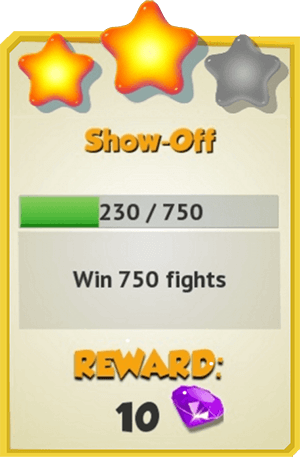 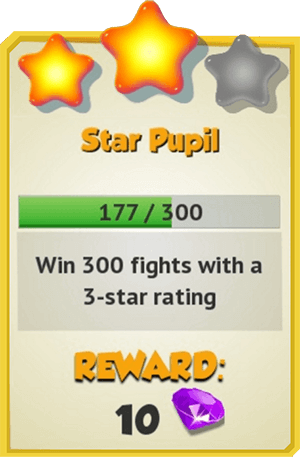 Achievements can be accessed using the button located on the right-hand side of the screen. 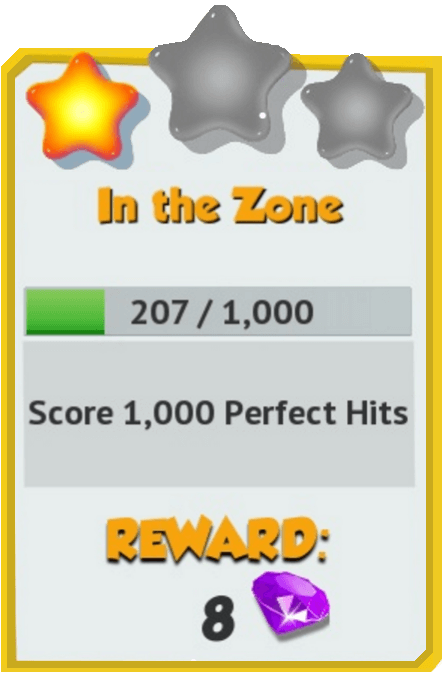 A notification will appear in the corner of this button when a goal has been completed. 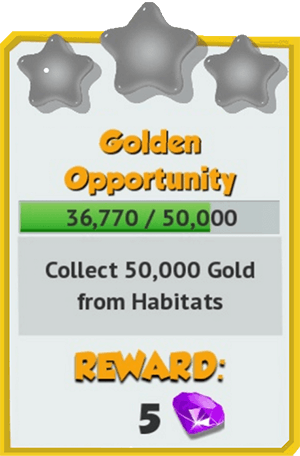 The objectives for each task can only be completed once and the rewards must be collected manually. 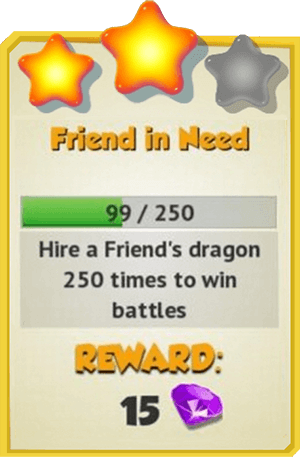 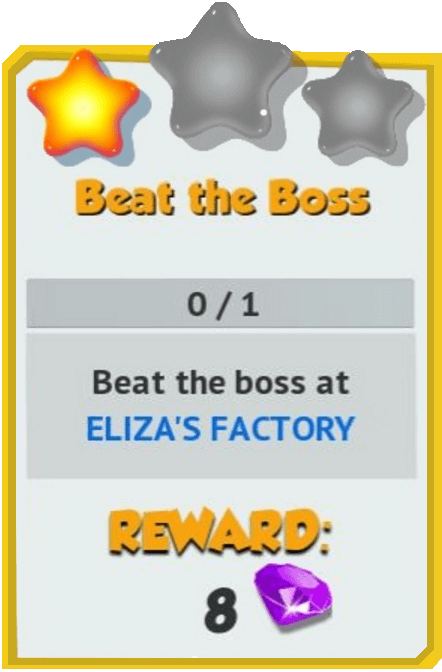 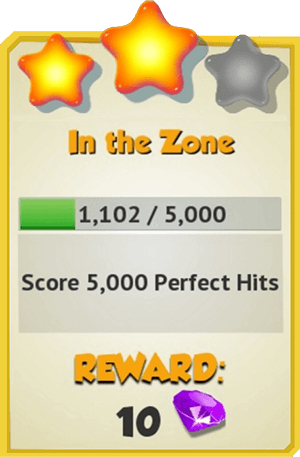 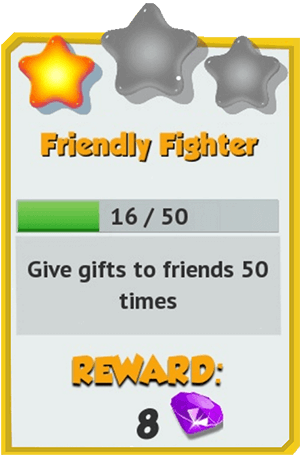 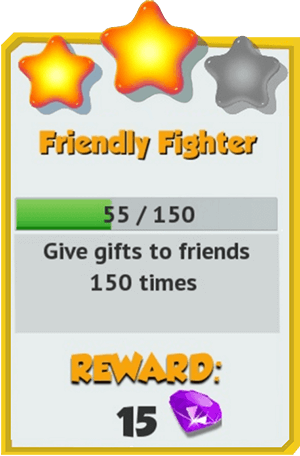 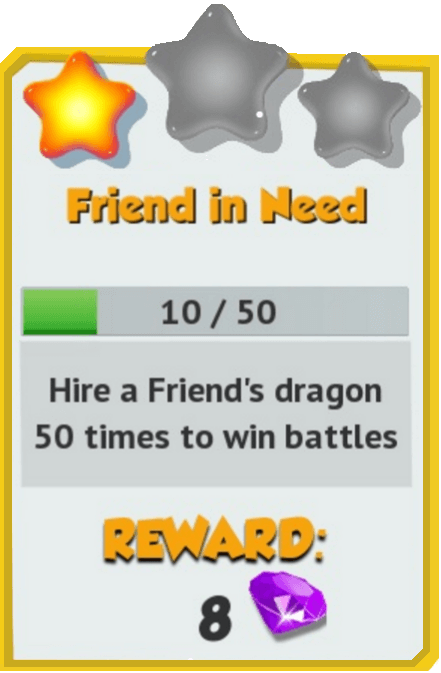 Collecting the rewards can be done, at any time after the goal is completed, by pressing the button. 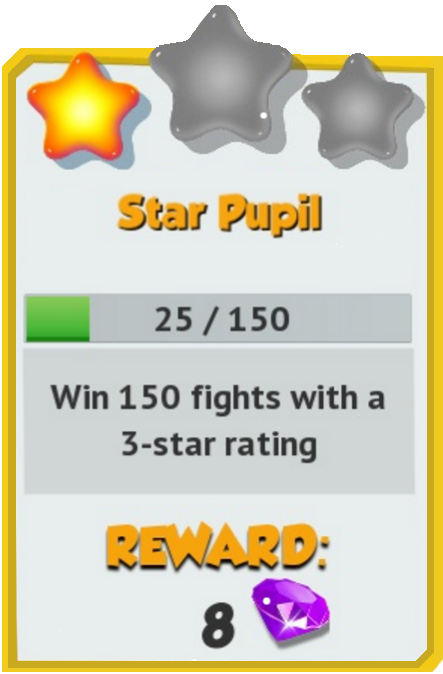 When an achievement is earned, a notification will be shown at the top of the screen. 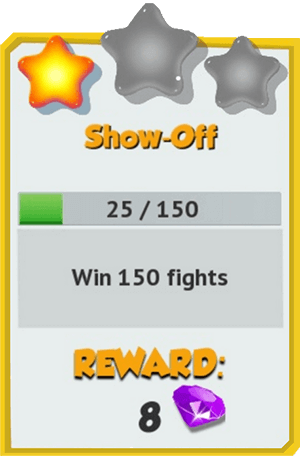 For Trainers with an Xbox Live account, there are also some extra achievements available through the button on the right-hand side of the screen, under the button. 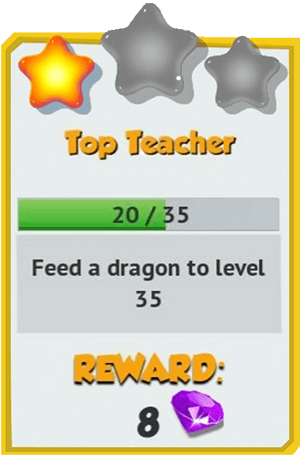 For Android Trainers, the extra achievements are available through the button which is found on the regular achievements screen. 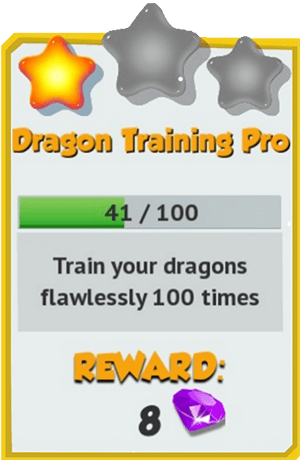 These achievements have no impact whatsoever on the Trainer's in-game progress and only provide rewards within the service they belong to. 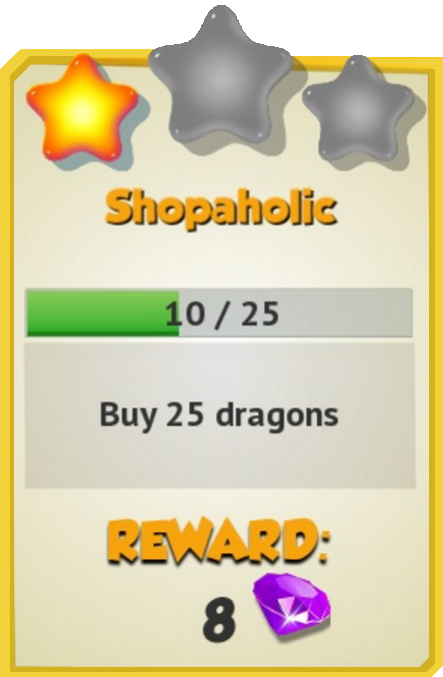 * Means they only need to be purchased (multiple of the same one can be bought) and can be sold afterward. 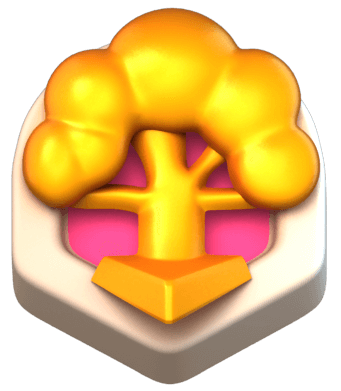 This section is about badges as achievements. For other uses, see Badge (disambiguation). 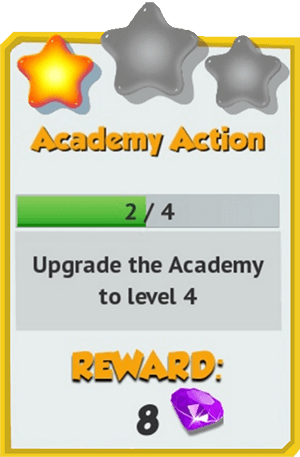 Badges are another form of achievements that provide no benefit other than an aesthetic one. 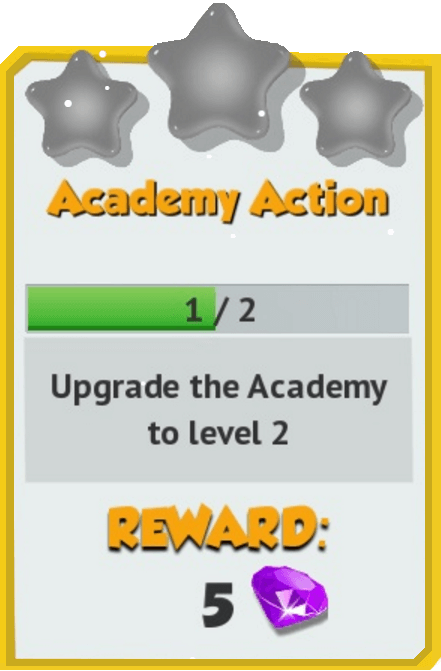 They can be accessed through the button after opening the achievements screen. 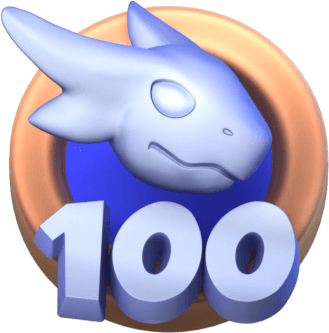 These badges are obtained once the Trainer has reached certain milestones in the game and can be displayed on the various leaderboards in the game, as well as on the friend list. 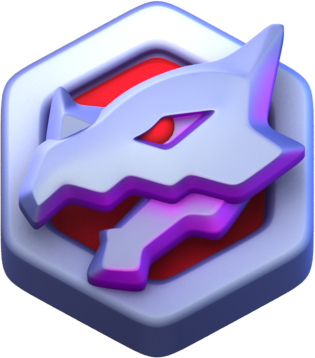 Pressing a displayed badge will reveal the name of the badge, as well as the total amount of badges that Trainer has. 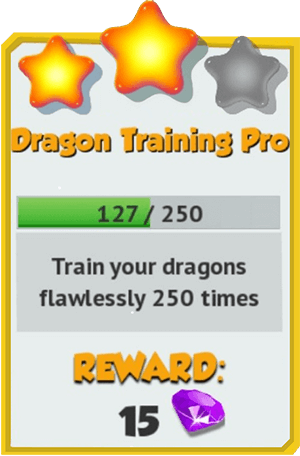 Only one badge can be displayed at any given time and the Trainer can choose the desired one through the button. 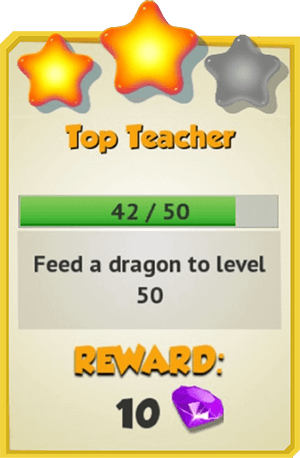 Should the Trainer wish to no longer have a badge displayed, they can simply remove it using the button. 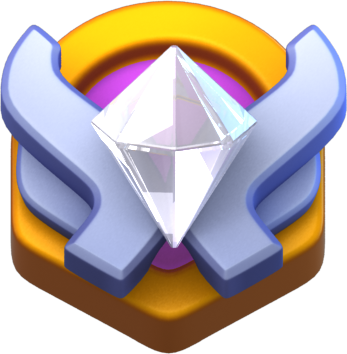 Each badge has a rarity, either Epic or Legendary. 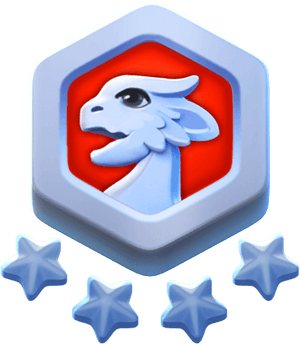 Badges that are available at all times are classified as Epic while limited-time badges are classified as Legendary. 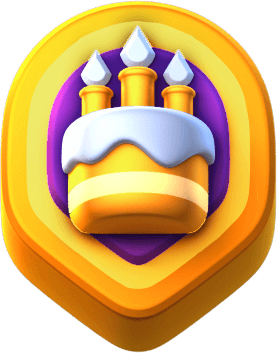 This is further reflected on the background color of each badge, as Epic badges have a yellow background while Legendary badges have a purple color. 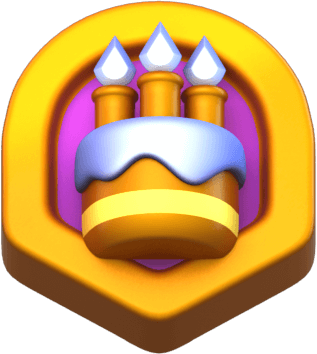 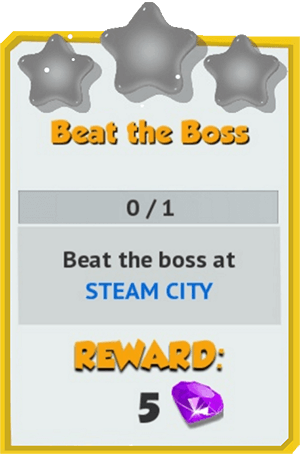 The latter badges are only visible during a certain period of time in which the conditions for earning them can be fulfilled in the game, such as, for example, finishing a particular event. 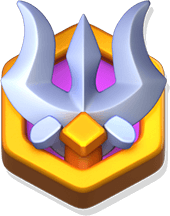 Once these conditions can no longer be fulfilled, the badge will be displayed only to those who have managed to obtain it. 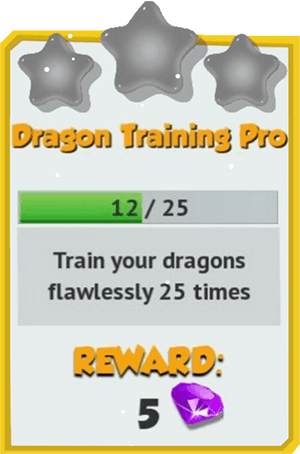 However, some badges, such as those given for hatching certain Dragons, will still be obtainable after the allotted period of time is over, but will not be visible in the game until the conditions for earning them have been met. 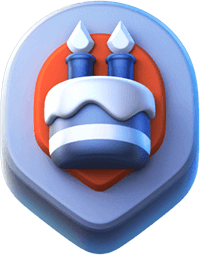 1st Anniversary 1 year must pass after the first login. 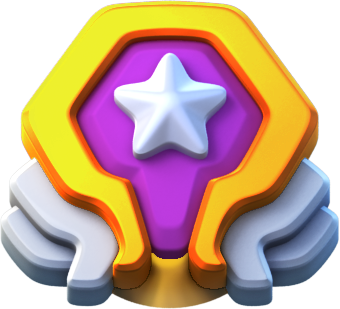 2nd Anniversary 2 years must pass after the first login. 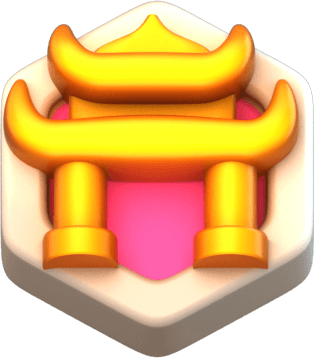 3rd Anniversary 3 years must pass after the first login. 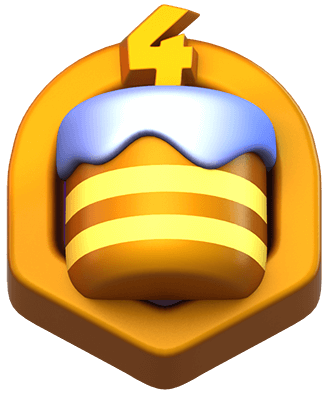 4th-Anniversary 4 years must pass after the first login. 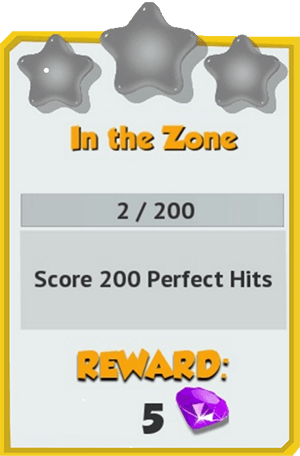 Adventurer Beat Quest 205 in Normal Mode. 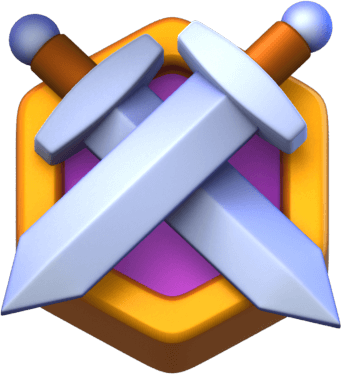 Conqueror Beat Quest 295 in Normal Mode. 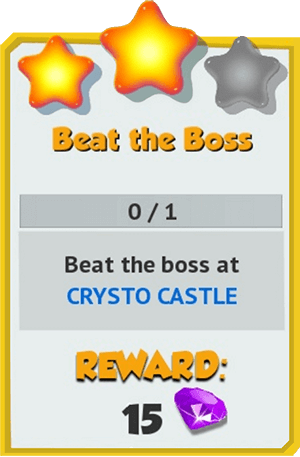 Heroic Adventurer Beat Quest 205 in Heroic Mode. 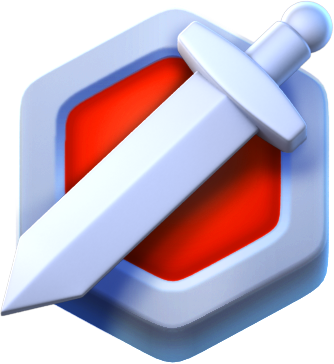 Heroic Conqueror Beat Quest 295 in Heroic Mode. 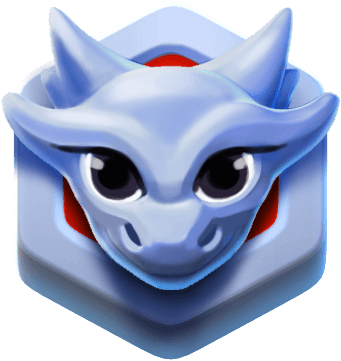 Arena Expert Achieve a Dragon League win streak of 20. 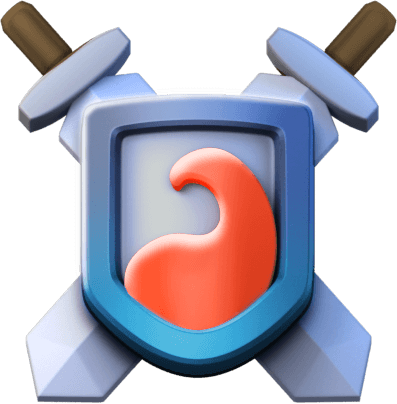 Prime Gladiator Earn the 1st place in an iteration of the Dragon League in the topmost league. 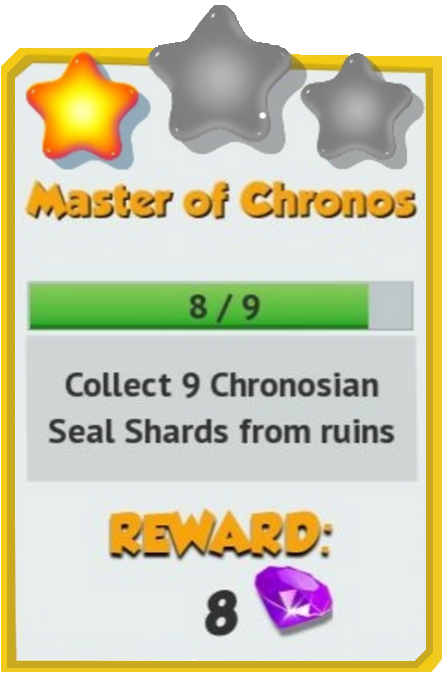 Chronos Tamer Level Chronos to Level 5. 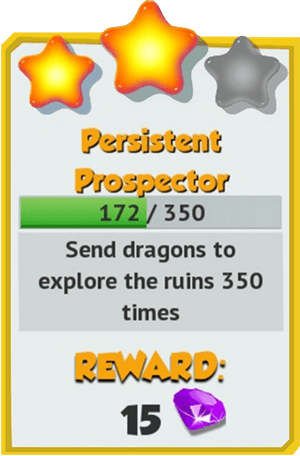 Boss Collector Possess all the Boss Dragons. 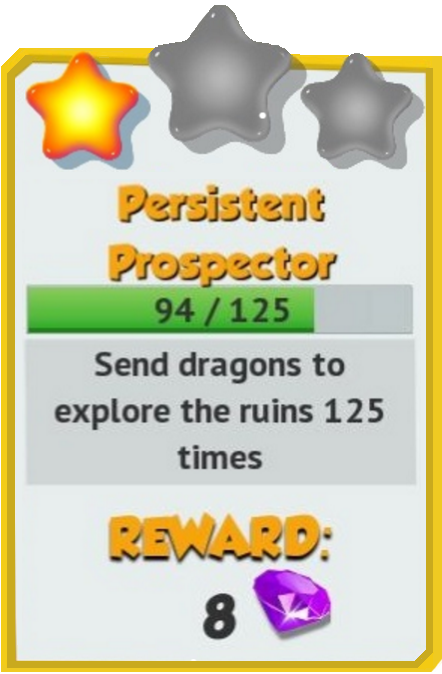 Legendary Trainer Complete the Legendary Dragons Collection. 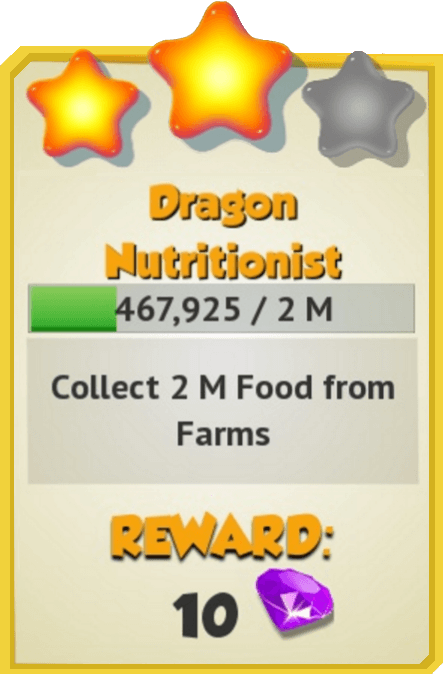 Seasonal Sweetness Breed and hatch 3 Dragons of the Month. 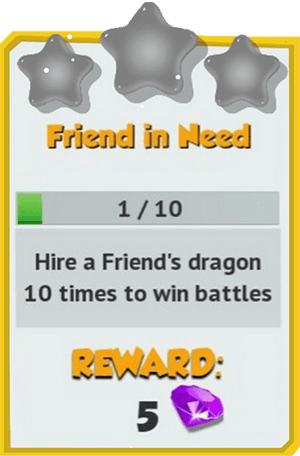 Matchmaker Breed and hatch 10 different Dragons of the Week. 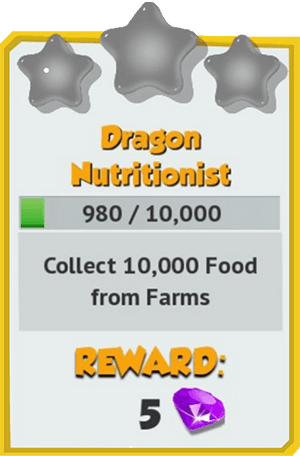 Dragon Collector Possess 100 Dragons of different species. 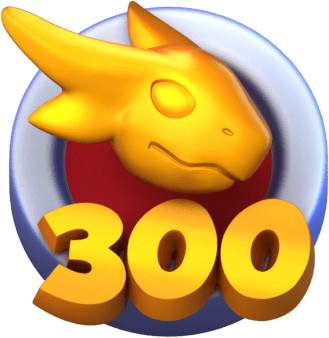 Dragon Connoisseur Possess 300 Dragons of different species. 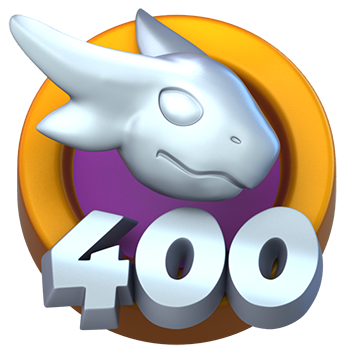 Dragon Overlord Possess 400 Dragons of different species. 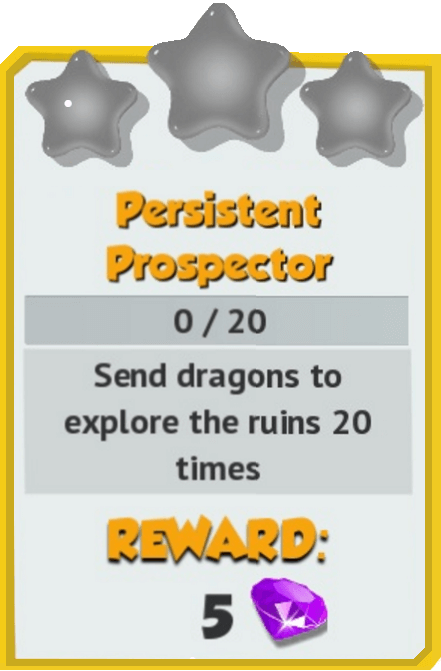 Enchanter Have 10 Dragons at Enchantment Level 4. Mystical Collect and hatch all 6 Divine Dragons from the Island of New Beginnings. 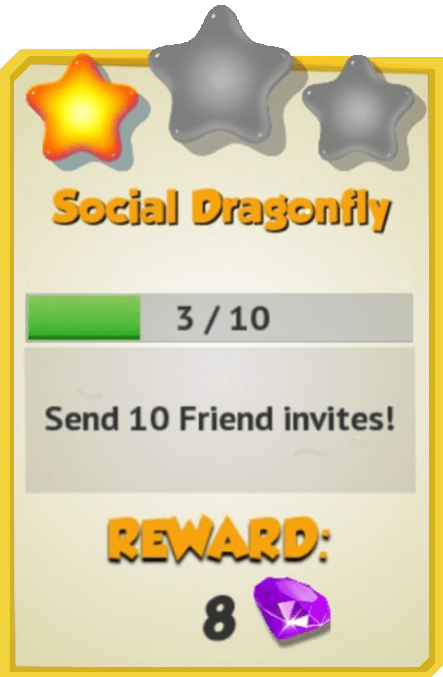 Spiky Sweet Complete The Great Hatchling Hunt event. 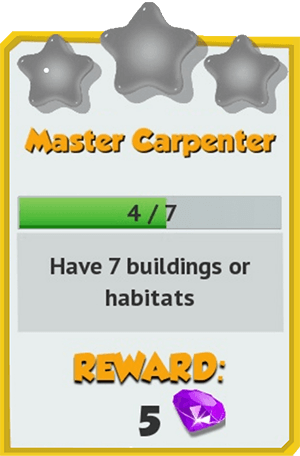 Rabbit Charmer Tap all the rabbits in all of the levels of The Great Hatchling Hunt event. 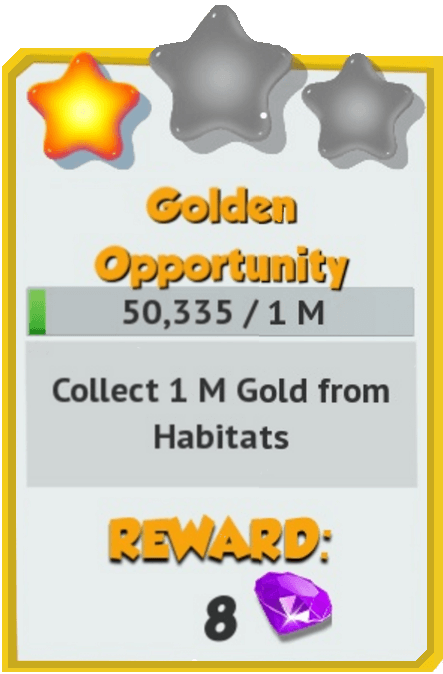 Earth Complete all the milestones of the "Go Green" Day event. 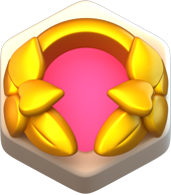 Blooming Complete the Spring Fiesta event. 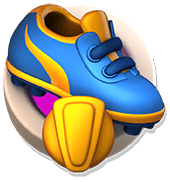 Winning Eleven 2018 Complete the Big Kick Cup event. 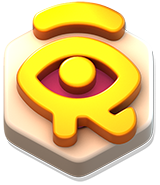 Decrypter Discover all the ancient hieroglyphs in both Golden Pyramid I and Golden Pyramid II. 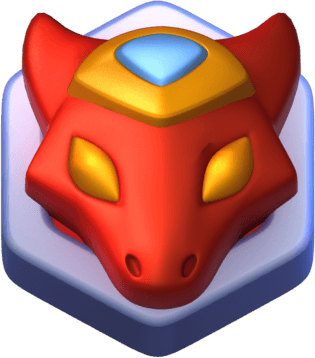 The Eye of Ra Collect and hatch all 6 Divine Dragons from the Golden Pyramid. Master of Scarabs Complete both Golden Pyramid I and Golden Pyramid II. 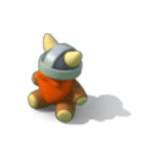 Doll Collector Find all Viking Dolls in both Castle Events during the Trials of Odin event. 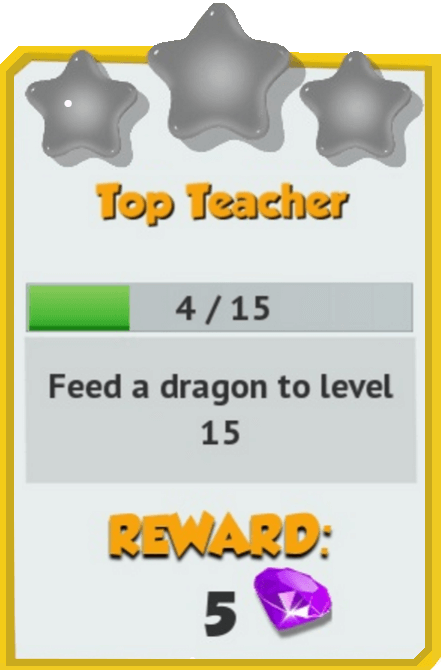 Odin's Champion Collect and hatch all 6 Divine Dragons from the Trials of Odin event. 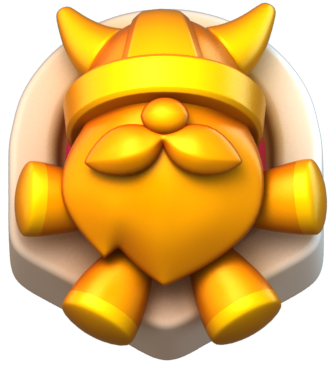 Master of the North Complete all rooms in both Castle Events during the Trials of Odin event. 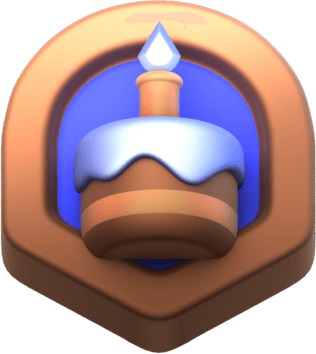 Cinnamon & Ice Complete the Cinnamon & Ice event. 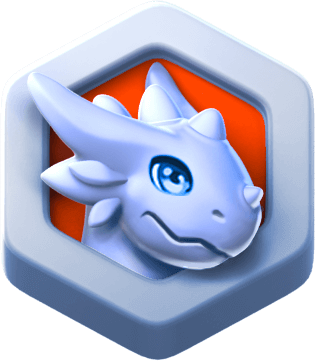 Champion of Chrono Zeus Collect all Divine Dragons during the Time Rift Event. 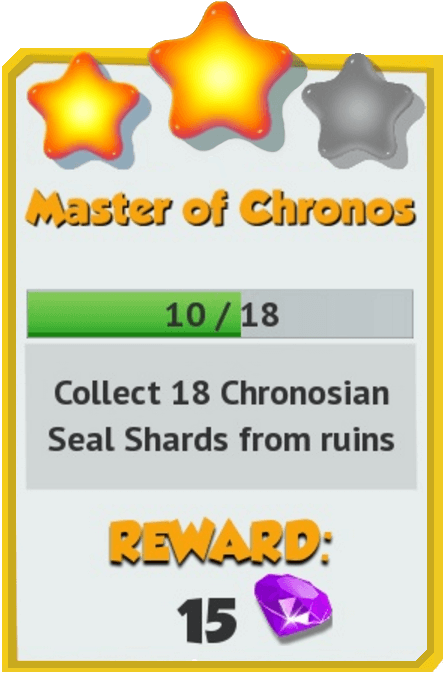 Master of Chrono Olympos Complete all rooms in the Castle Event during Heaven & Hades. 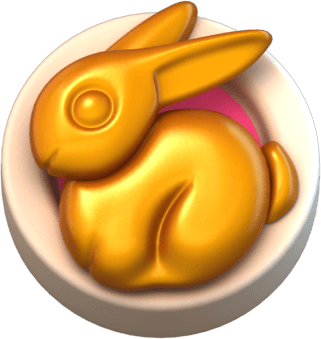 25px Rabbit Charmer 2019 Tap all the rabbits in all of the levels of The Great Eggs-pedition event. 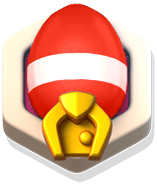 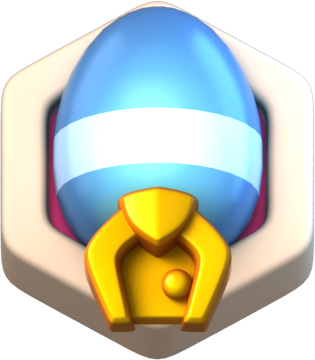 Master of Easter 2019 Complete The Great Eggs-pedition event. 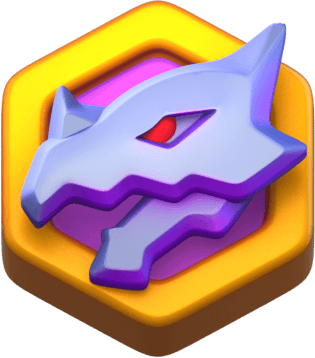 ↑ 1.0 1.1 1.2 1.3 The requirements for this badge are based on the first ever login of an account and not the days of the Daily Prizes, thus, for example, the Trainer will still receive the badge even if they did not log in daily or at all between the first login and receiving the badge. 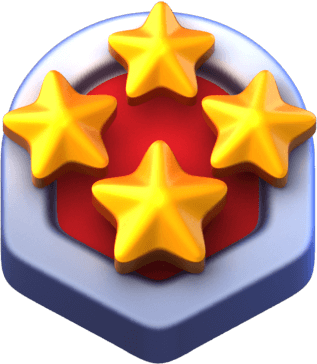 ↑ If new divisions or leagues are introduced, the badge will have its requirement updated to include the new top tier. 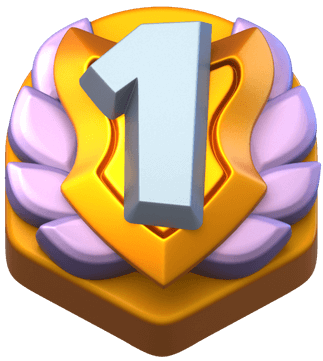 Trainers who managed to obtain the badge before this new tier was introduced will retain the badge in their possession, without having to reach the new top tier. 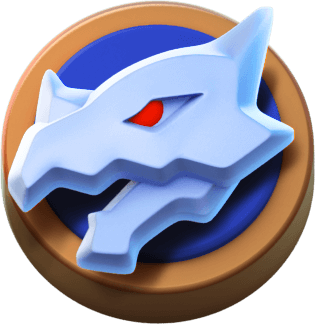 ↑ If new Boss Dragons are introduced, the badge will have its requirements updated to include the new amount of Dragons. 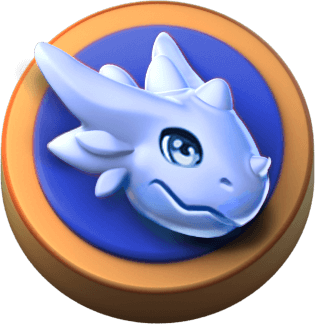 Trainers who managed to obtain the badge before these new Dragons were introduced will retain the badge in their possession, without having to collect these new Boss Dragons. 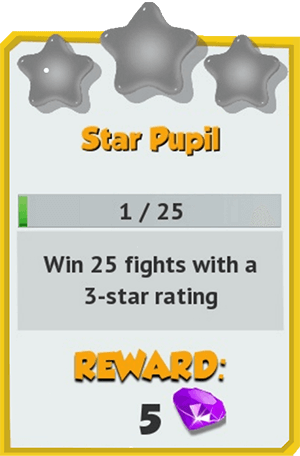 ↑ 4.0 4.1 Duplicates count toward the total amount required. 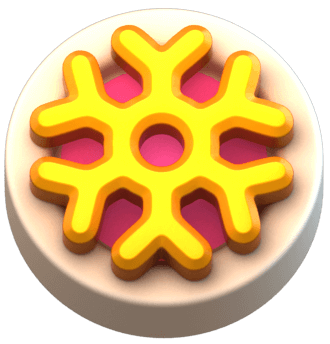 Update 4.2 introduced the Cinnamon & Ice Badge. 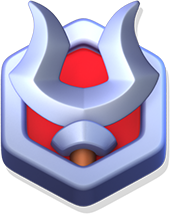 Update 4.1 introduced the Doll Collector, Odin's Champion and Master of the North badges. 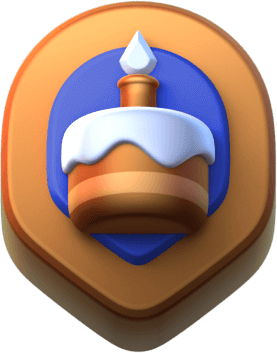 Update 4.0 introduced the Conqueror and Heroic Conqueror badges. 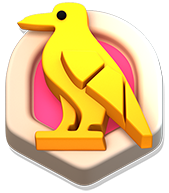 Update 3.8 introduced the Winning Eleven 2018, Decrypter, The Eye of Ra and Master of Scarabs. 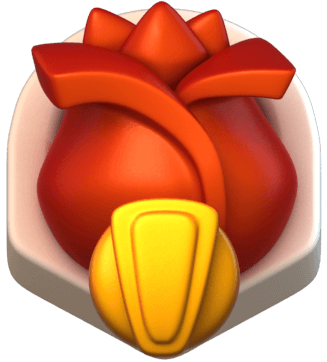 Update 3.7 introduced the Blooming, Prime Gladiator, 4th-Anniversary and Dragon Overlord badges. 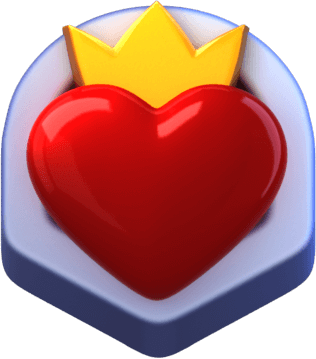 Update 3.6 introduced the Seasonal Sweetness, Matchmaker, Spiky Sweet and Rabbit Charmer badges. Additionally, some of the old badges have been altered while the game's main font, Grobold, has been sharpened in the Achievements screen. The requirements for the first two new badges started counting only after their introduction. 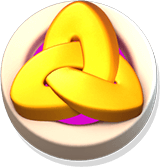 Update 3.5 introduced the Mystical Badge. 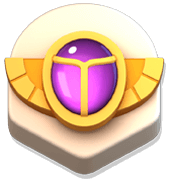 Update 3.3 introduced badges and replaced the button with the button. 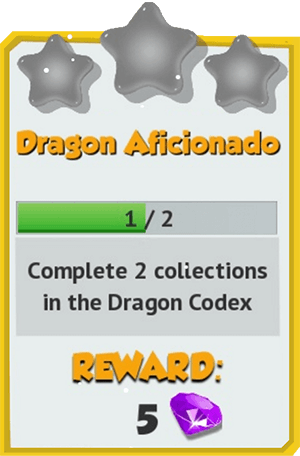 Update 2.9 moved the Collections section back to the Dragon Codex. 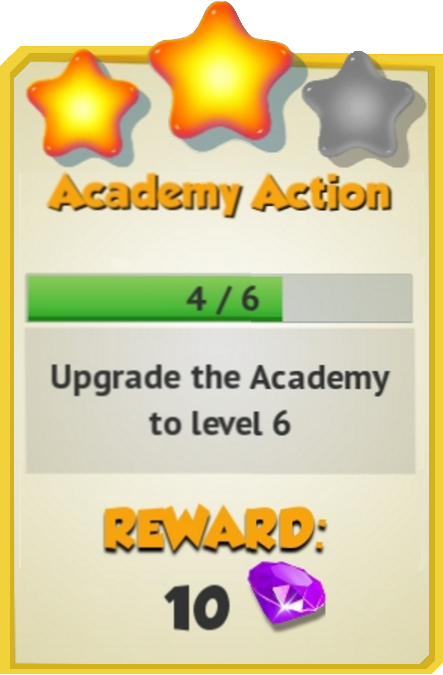 Before this update, the was used to access this section from the Achievements section while the button was used to switch back to the latter section. 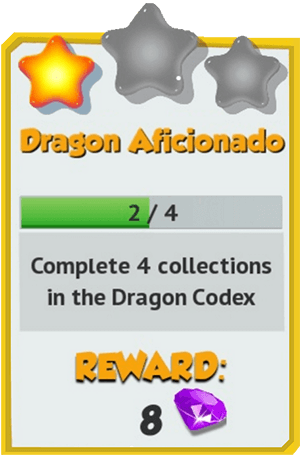 Update 2.5 moved the Collections section from the Dragon Codex to Achievements. 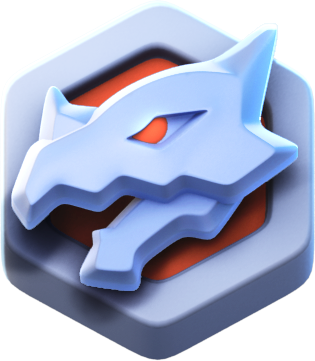 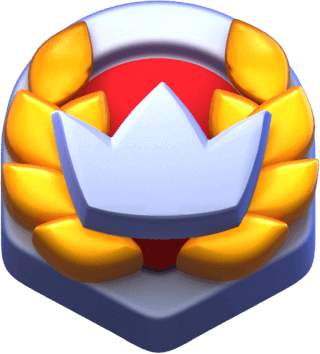 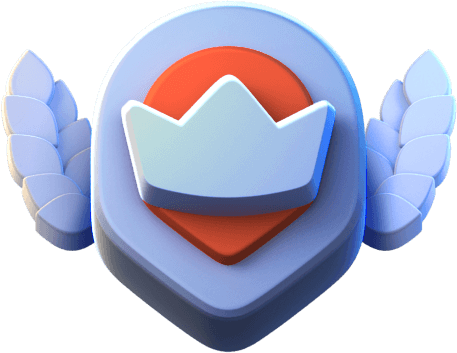 Update 2.0 introduced the Clan Trophies collection while it was still under the Dragon Codex. 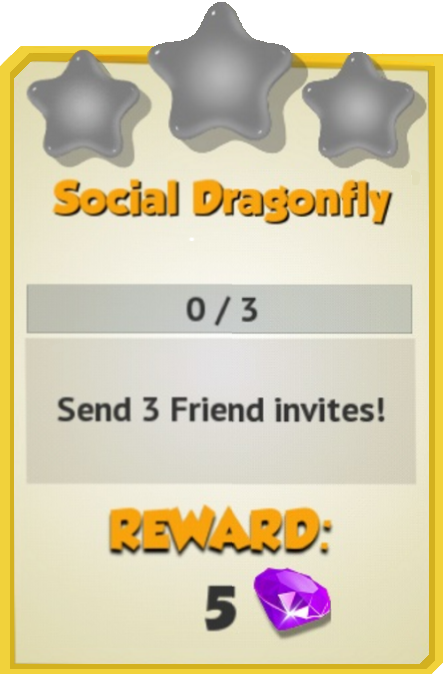 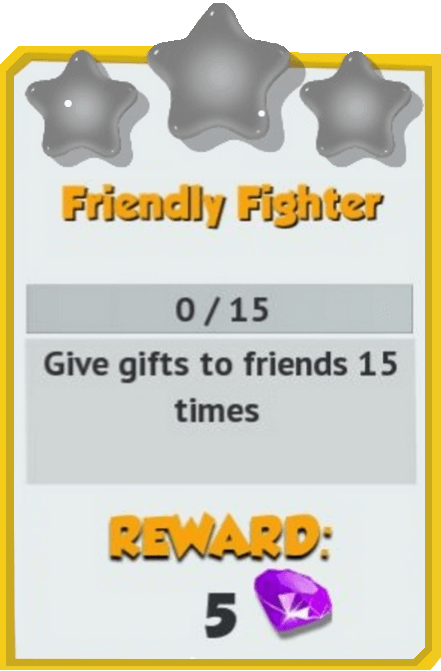 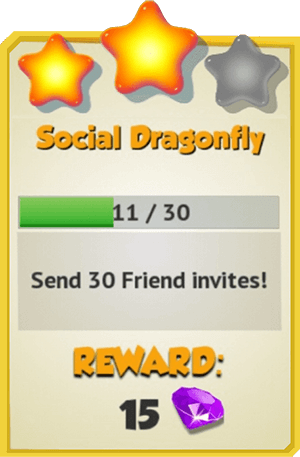 Update 1.6 introduced the Social Dragonfly achievement. Update 1.5 introduced the Rays of Light, Creeping Shadows, and Dazzling Crystals collections while they were still under the Dragon Codex. 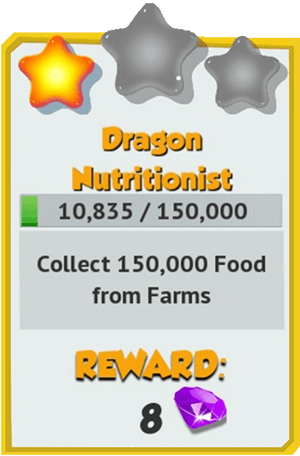 Update 1.1 lowered the rewards for some of the achievements. 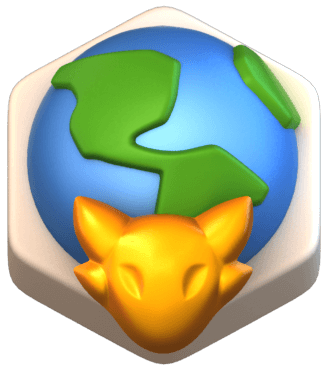 This page was last edited on 19 April 2019, at 23:04.